At first glimpse, kitchen countertop can make the kitchen look beautiful and new. 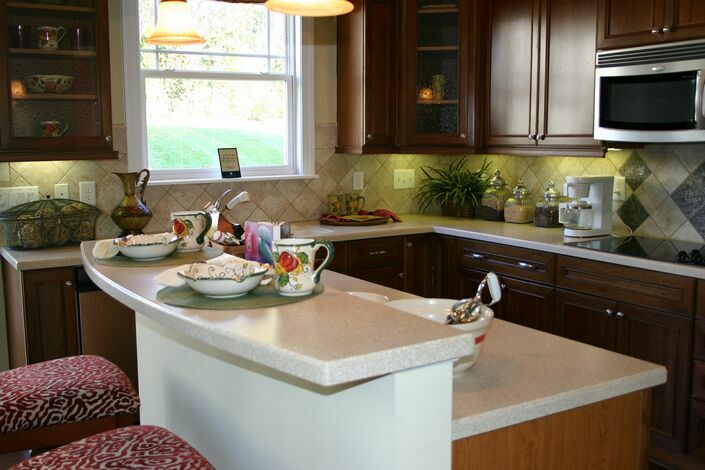 Kitchen countertops are one of the major elements of any kitchen. To maintain the beauty of kitchen countertop for a long time, it is important to select a kitchen countertop material which is not only pleasing to the eyes but also posses the scratch resistant quality. There are a number of countertop materials available in the market like the granite, Silestone, marble, natural stone etc. But while selecting a countertop for your kitchen do not make the mistake that everyone does by selecting the top trending countertop material. Select a cost-effective countertop that is beautiful and strong at the same time. The ceramic countertops are easy to set up. There installation is so easy that you can install them by yourself. If you like to keep your place plain and simple then the ceramic countertops are one of the best options available for you. Silestone countertops come in a variety of dynamic colors that boost their visual allure. You can choose this material for your countertop as the silestone countertops are less expensive compared to the quartz and granite countertops. In the crowd of countertop materials, the laminate countertops are the most inexpensive countertop material. The laminate countertops are beautiful and easy to install, but their only drawback is that they are vulnerable to abrasions, cuts, and high temperature. Quartz countertops can make anyone fall in love with their appearance in just one glance. They are less porous and long-lasting countertops. However, they are a bit expensive than the other countertop materials mentioned above. The granite countertops do not require any introduction or specification, almost everyone knows about the specialties of this countertop material. Granite is the most preferred countertop material all around the world. 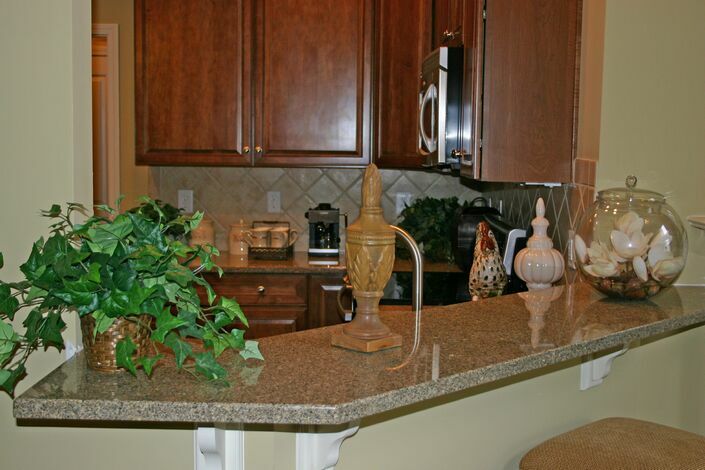 The granite countertop can bear every type of wear and tear without losing their luster. Yes, they are expensive, but the price worth the granite countertop material. A quartz Kitchen countertop will highlight your kitchen and give it an outstanding appearance. The kitchen is the core of every home and a beautiful kitchen countertop will make it easier to make the kitchen the focal point of your home especially if you intend to sell the home. Selecting a countertop can be a daunting task as there are many available options and quartz is among the best materials. Quartz countertops are durable and a good option for your bathroom and kitchen. Before you settle on quartz consult the kitchen countertop installer on all advantages and drawbacks, and the most ideal situation to use the stone. What is quartz and How is it Made? Understanding the structure of granite countertops or quartz countertops will make it easier to choose the one that fits your home, and in this post, we delve deep to find out how quartz is made. Quartz is engineered and it’s made from 95 % of quartz minerals that are bonded together using polymer resin resulting in a hard material which is customized to make countertops. The quartz countertops come in a variety of colors giving a wide selection. Quartz is nonporous and that means that bacteria will not find their home in the countertop. It does not require constant sealing making it ideal for a busy kitchen as compared to granite which requires constant sealing. Quartz is also able to withstand more pressure making it ideal for a high traffic kitchen. Which area of the house or home is Quartz best used? Engineered quartz is hard and durable, nonporous and can, therefore, work in most of the rooms in the house. It’s ideal as a bathroom vanity countertops material, outdoor countertops, fireplaces kitchen countertops and island and any other place that may require a countertop. It can also be used as a backsplash or large vertical areas. Consult the installers from the granite company and they will advise you on areas where you can use a quartz countertop. How do you Take care of Quartz Countertops? 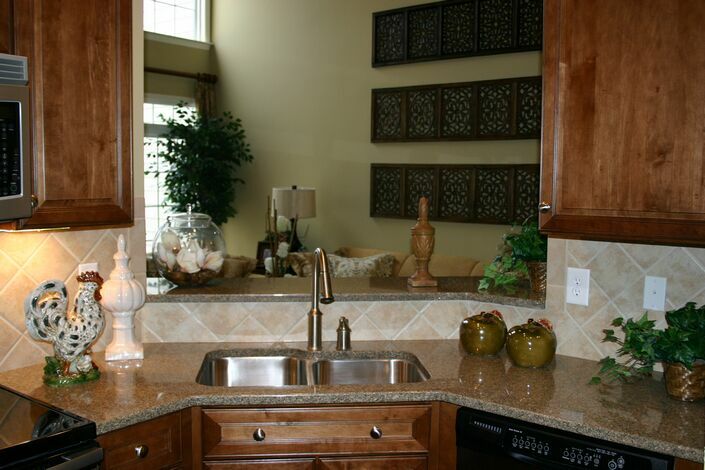 Quartz countertops are easy to maintain as they don’t require constant sealing. To clean the countertop, use warm water and a mild detergent. Avoid acidic detergents as that will make the countertop lose its shine and appeal. Quartz has several styles available whether you want a modern, contemporary, traditional or eclectic look. During the manufacturing process quartz pigments and resin are mixed giving an array of color and texture.to make it even more appealing some manufacturers add glass and metallic flecks. Your Quartz countertop is heat resistant to a certain level and it’s therefore important that you place hot pans on a mat to avoid heat marks. The polymer that is mixed with grounded quartz minerals makes the countertop stain resistant. Even though the countertop is stain resistant, in case of any spills ensure they are cleaned off quickly to avoid forming a stain. The cost of installation will depend on several factors including the size of the countertop and the accessory needed. To get the exact cost to visit the granite company and get a quotation. Make sure all the cost are included in the quotations to avoid surprises after the installation process. Over the years Quartz has caught up with granite countertops Raleigh in term of popularity due to its low maintenance, durability and a variety of colors and styles. Its suitable for your kitchen countertop, bathroom vanity countertop and any other areas in the house that may require a countertop. When properly installed you can enjoy a lifetime of a beautiful kitchen space and a highly valued house. Which countertop surface is right for you? Whether you are remodeling your kitchen or giving a new look to your bath area, at one point you will get confused in selecting most appropriate countertop. After all countertops play a vital role in enhancing the beauty of the kitchen as well as the bathroom. The kitchen and bathroom countertops are probably the first thing which gets noticed when someone enters in kitchen and bathroom respectively. The selection of countertops relies on various things like budget, interior decoration, personal choice and availability of countertop. Oodles of bathroom and kitchen countertop options are available for you. The factors like durability, texture, color and appearance are going to make a solid influence on your choice. Some countertop materials need extra care while a few are nearly maintenance-free. You can opt for one as per your needs and requirements. #1: Granite: The scintillating granite countertops are first choice of homeowners who want to dazzle their kitchen with shining of granite countertops. Previously, only few color and texture options are available to granite countertop lovers, but now granite countertops are available in various color and texture options. 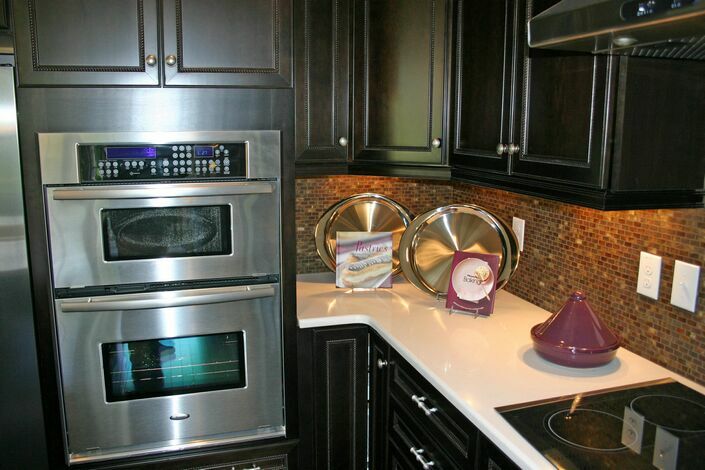 #2: Quartz: The quartz countertops are easy care kitchen surface. Quartz countertops are made up of the hardest mineral on earth, so they are highly durable. They will provide long lasting services and are easy to clean. These countertops are available in a variety of colors from red to green, earthy brown to sheer black, and from cream to white with awesome textures. #3: Marble: Marble is an ultimate countertop option for the white lovers. Although this countertop looks incredibly good in the kitchen but they are more suitable bathroom countertop option. The white color gets dirty soon and require frequent cleaning, thus as kitchen countertop its maintenance is quite tough but very much suitable for bathrooms. #4: Soap Stone: If you want to try something different from others, then you should opt for Soap Stone countertops. Soap stones are highly durable material and virtually maintenance free. #5: Solid Surface: These are man-made and durable countertop which requires very low maintenance. This material is stains, moisture, sunlight and heat resistant. When you plan about remodeling your kitchen or bathroom, choosing right countertop becomes one of the most important tasks. Because of availability of plenty of countertop materials, it is not easy to choose the one. Among so many available options, granite and quartz countertops are the most popular ones. Both materials have their own pros and cons, which makes it even more difficult for homeowners to choose the one. Granite provides bold look to kitchens and bathrooms, while Quartz adorn the beauty of kitchens and bathrooms. There are so many assumptions and delusions floating around about quartz and granite. Vie between Granite and Quartz countertops can be seen ad natural stone countertops verses manmade countertops. Quartz is a manmade countertop material. It is made from a mineral which is available in abundance on planet. The countertops contain 90 % of crushed quartz resins and 10 % of resin binders. As it is 100 % synthetic product, Quartz countertops are available in plenty of patterns and colors. This provides you a lot of options to choose from. The best thing about the quartz countertops is that they look like natural stone countertops. The finished stone seems to be rich. It is easy to find the quartz countertop that matches with your kitchen décor. Many homeowners prefer quartz countertops because it is a low-maintenance material. Quartz countertops can handle stains of tomato, oil, wine, juice, coffee and many more stainable products. And quartz does not hold germs, so you your countertops will be clean after just one wipe. If Quartz and Granite countertops are compared in terms of beauty, Granite wins. 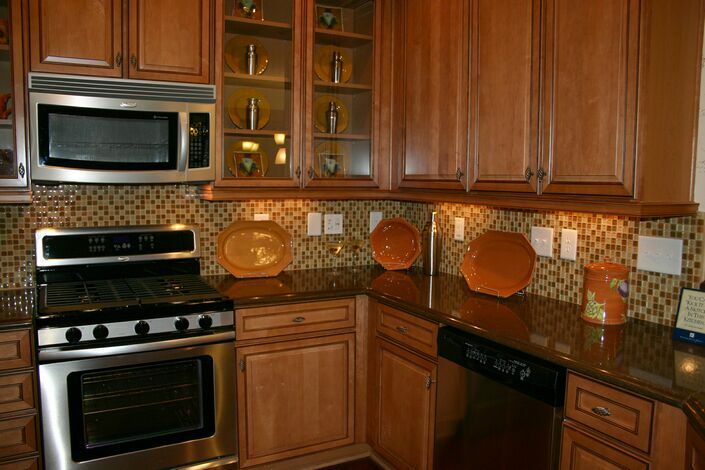 The granite countertops have that natural stone appeal. On the other hand, Quartz countertops look like imitation of granite. Granite countertops are made from 100 % natural stone. Each granite slab is different from other. These countertops provide rich and royal look to every kitchen. Every homeowner welcomes granite countertop with alacrity. The best thing about the Granite countertop is it can ameliorate the look and feel of any place where it is installed. This countertop material is suitable for both kitchens and bathrooms. This countertop can withstand stains, scratches etc. 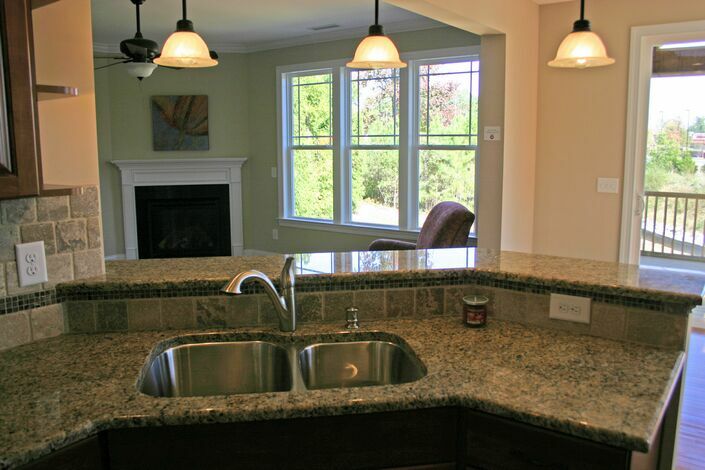 There are two drawbacks of Granite countertop –it is expensive and it requires annual sealing. Yes, granite countertops are one of the most expensive countertop materials. And this material requires annual sealing to maintain its shine. Are you looking for a new countertop for your bathroom vanity? Are you searching beyond the traditional bathroom countertop options? Or is your search related to budget friendly bathroom vanity tops? Well, if so, then below mentioned information can be helpful for you. Today, market is full of variety of countertop materials. It is not easy to select the apt material for bathroom vanity, because not all material possess the all the qualities that homeowners want in their bathroom vanity tops. However, there are certain countertop materials that can full fill maximum needs and requirements of the homeowners. Bathroom vanity tops do not need to be boring. You should pay attention over the material, style, edge, color, design and texture. A good vanity top will improve the overall look and feel of your bathroom. It can’t be the focal point of your bathroom (like kitchen countertop), but it can definitely enhance the beauty of your bathroom décor. Ceramic can be a great choice for bathroom countertop surfaces, especially for those homeowners who are looking for budget friendly countertops. It is very cheaper and available in plenty of designs and textures. The installation of ceramic countertops is pretty easy that you can opt for DIY installation as well. Laminated countertops are new craze in the market. These countertops look rich and royal. They are available in plenty of styles. Laminate countertops are best for the bargain installation, whereas worst for the high end installations. These countertops can be good for guest bathrooms or basement bathrooms. Solid Surface Countertops can be an amazing choice for bathroom vanities. This material is the combination of flexibility and functionality in total style. It is the manmade countertop. If you are looking for a stylish countertop surface to adorn your bathroom décor, solid surface countertop is the best option for you. However, these countertops are a little bit expensive. Be it kitchens, fireplaces or bathrooms, granite is the ultimate choice. Granite is non-porous, bacteria resistant, stain resistant and heat resistant material, which can be best for the busy bathrooms. If you are looking something different and ready to spend, then quartz countertop can be the apt choice for your bathroom vanity top. It got look for granite without maintenance hassles.